Showing results for tags 'sons of honor'. I am rereading WoK(again) and something jumped out at me from Kaladin's flashback where Amaram killed his squad and gave him the slave brand. This may be old news to y'all, but it was new to me... “Why?” Amaram said. “Why did you reject it? I have to know.” “I don’t want it, sir.” “Yes, but why?” Because it would make me one of you. Because I can’t look at that weapon and not see the faces of the men its wielder slaughtered so offhandedly. Because … because … “I can’t really answer that, sir,” Kaladin said, sighing." (underlines mine) It appears to me in this part that what Amaram really wants to know is if Kaladin is a surgebinder. I think that the Sons of Honor know more about the knights radiant than we give them credit for. The several hours spent in Amaram's office before this scene were probably spent arguing about what to do with Kaladin, kill him, recruit him, or what. We don't yet know the extent of King Gavilar's progression toward Bondsmith, but if the Stormfather had revealed to him a fraction of what he has revealed to Dalinar, then Gavilar would have known about the nahel bond and passed that information along to Amaram. They probably were keeping an eye out for the appearance of possible radiants in order to confirm if they were on the right track. Now,here was a darkeyed spearman who, not only survived an encounter with a full shardbearer, but also killed him and then, for some totally unfathomable reason, refused to take the shards. Had Kaladin answered his true thoughts, confirming he wans't Radiant, Amaram probably would have killed him along with the rest of squad. Had Kaladin aswered anything that hinted toward a possible nahel bond forming, Amaram may have recruited him into the Sons of Honor where he could keep tabs on him and then swore him to secrecy. Kaladin's answer of "I can't really say" left Amaram in the position of "I can't leave him around to blab that that I took his Shardplate and blade can't kill him if he is forming a nahel bond and thus further delay the desolation." As a result, Amaram gives him the slave brand to descredit anything he might say and sends him off to his fate, whatever that may be. Amaram probably figured that he'd never see Kaladin again and, knowing he had covered his bases, promptly forgot about him. Sorry if this has already been hashed out somewhere. I thought it was interesting, though. I'll keep blaming being new to the forums if I miss stuff, lol. What do y'all think? Am I just reading too much in to this? From Mraize's letter, we know: And then back in the prologue of Oathbringer, we have: So, the prologue meeting that Eshonai stumbles into appears to be a Sons of Honor meeting between Gavilar and Amaram and four others (one soldier, two fine ladies, and one old man in robes), where no guards were even at the door, presumably because they wanted a very secretive meeting where even guards were not allowed to listen in. My question is, who are the four others? Restares, perhaps Taravangian The old man in robes appears to be Restares. Amaram writes in a spanreed to Restares (WoR Page 1059), saying, "It has ever been our burden as the Sons of Honor." Amaram had also presumably consulted with Restares via spanreed when deciding slaughter his own men so that he could steal Kal's Shardblade: "Restares is right— this is what must be done. For the good of Alethkar.” (WoK, Page 703) Restares is only mentioned in three places over all three books: as one of three of Gavilar's suspects during his assassination (WoK prologue), when Amaram slaughters Kal's men (WoK), and when Amaram writes to Restares via spanreed (WoR). The Stormlight Archive Wiki states that Restares is an Alethi brightlord, but I'm not sure that we know this even though Amaram implies that Restares said the theft of the Shardblade was for the good of Alethkar. We never hear anything of Restares at all, which knowing Sanderson makes me suspect that Restares is a fake name given how often he gives other names to characters - Heralds like Darkness, Ash, Ahu, and Tezim or the five Scholars - to obfuscate their true identities. I wonder if Restares is not in fact Taravangian or some other old dude we know well. In Oathbringer (Page 242), Dalinar tells us that he had met Mr. T before "his strange illness five years ago." And then the strongest evidence that Taravangian is Restares and a Son of Honor is this quote from WoR: After Gavilar's death and access to the visions ended, Mr. T seeks the Nightwatcher, asking that he be the one to unite them, which led to the Diagram. I will leave all discussion of the Diagram to other wonderful threads, though it does seem that followers of the Diagram and Sons of Honor diverge a bit. However, keeping his position in the Sons of Honor (if he is Restares) would be a brilliant way to keep the information flowing from surviving allies there. Torol and Ialai Sadeas Torol Sadeas is undeniably close to Gavilar, willing to sacrifice his life for Gavilar's own during the assassination attempt and always 100% loyal to Gavilar despite the fact that, following Gavilar's death, he's tried his best to undermine and even kill Dalinar at every possible step. Why the difference? Apparently, Torol was privy to secrets about Gavilar's true, ruthless and Machiavellian nature - secrets of which Dalinar and Elohkar and even Jasnah apparently had no inkling. How is that possible? What secrets did he know? And wouldn't we peg Torol as Gavilar's closest and most trusted companion outside of family? Didn't Torol do all of the politicking with Gavilar when Dalinar refused? So to me, it makes enormous sense that Torol was a Son of Honor, sharing the same ruthlessness and Machiavellian approaches as Gavilar and Taravangian and Amaram. In fact, Meridas was likely recruited by Torol, as was Ialai. Just like House of Cards, Torol and Ialai are playing this game together, 100%. So my thoughts are that Torol actually dressed in his soldier attire for the signing of the treaty with the Parshendi (hence he and Amaram make the two soldiers), and Ialai is one of the two women in long dresses. So the other woman could be... Aesudan We see Gavilar pushing Jasnah into Amaram's arms. Obviously, Gavilar wants to keep the Sons in the family. And Aesudan tells El in OB that his father was ever so much better than he was: Aesudan knows of one (but perhaps not the other) of Gavilar's spheres, and she seems to have continued trapping more bad spren, going even a step further by bonding. But how was she privy to Gavilar's grand plans? How did she know of his father's work and his ancient (evil) spren? I'm thinking that was because she was one of the lady Sons. Yet again, we see the same ruthless, Machiavellian nature in Aesudan as we do in Gavilar, Amaram, Torol, Ialai, and Taravangian. They all fit beautifully together. Okay so, as far as we know, there are four secret societies on Roshar; the Sons of Honor, the Skybreakers, the Diagram, and the Ghostbloods. The Sons of Honor want to return the Desolations in order to force humankind to reach it's full potential. The Skybreakers want to enforce justice, and they currently serve Odium in order to return Roshar to the Parshendi. The Diagram also wants to serve Odium; in this case, they wish to serve Odium in order to gain favor for themselves when/if he wins. As for the Ghostbloods, well... We don't know what their motivation is. We have almost no clue. Based on the points of data, I have created this theory; the Ghostbloods serve Odium as intelligence agents in the wider Cosmere and on Roshar. The three points are this: 1) All the other three societies we know of serve Odium in some way. The Diagram serves him directly, the Sons of Honor work to return the Desolations, and the Skybreakers want to help the Parshendi reconquer Roshar. 2) Odium has been defeated before. We know that Odium has lost before. This is why Honor believes he will agree to a contest of champions, and presumably why he is currently trapped. Odium is an extremely powerful shard, having splintered four(?) other Shards in his time. Knowing this, I doubt that local forces alone would have been enough to trap him, especially with Tanavast's reference to forces in slumber. This would give him a strong reason to keep an eye on the Cosmere at large. 3) We know the Ghostbloods contain worldhoppers, or the descendants of worldhoppers. Of course, the Ghostbloods aren't an exclusively off-world operation. This leads me to think there is some kind of division in the organization, with some agents working on-world, others working off. This makes sense, as if is theory is correct, they would be the only one of the secret societies completely under Odium's control, and the only one he would be safe trusting with important and covert operations. [OB] Was Gavilar a founder of Sons of Honor? I was recently thinking, do we know anything about the beginings of Sons of Honor? Or how Gavilar joined them, if he did? I’ve read somewhere that Restares is the leader of Sons of Honor, but is it based on anything? The Radiants have begun their order. So far we have 5 who we know have sworn there oaths. But is there an actual counter to each hero in our villains? The rule is that they're motivations are similar to our heros but uniquely twisted. For Dalinar we have Taravangian who seeks to Unite in the most twisted way possible and also gathers visions granted by a higher power (Moelach in his case) He unites BY destroying, therefore anti bond smith For Kaladin we have Moash, someone who has also had family killed by the light eyes but seeks to kill those he hates, breaks his word to protect the Kholin family, and ACCEPTED shards where Kaladin did not. It's these two that are the clearest. As for Jasnah I would have to say one of the worldhopping ghost bloods since in theory she too can(has?) world hopp. Mraize perhaps but it seems flimsy I think each character will have a Rosharin counter. Then of course there is Eshonai and her sister, one who sought peace, vs one who did not, one who was tricked by the other to embrace Odium. While her sister embraced it long before. Perhaps it is not as cut and dry as this, but it works well so far, im not sure about Shallan, Renarin, or Lift yet. 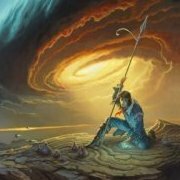 So, from the Oathbringer prologue, we have some new information. Specifically, we now know what the motivations of each of the three men trying to "unite them" might be (based on the instructions obtained from the Almighty's vision-diary). Gavilar & Dalinar each received the visions from the Stormfather, and Taravangian heard about the visions from Gavilar. We are directly told that Gavilar intended to "unite them" with a threat of danger. We can infer that Dalinar is determined to "unite them" through common purpose & a sense of honor/duty. We can also infer that Taravangian is attempting to "unite them" with deception, political conquest, and esoteric methods (e.g. death rattles, Nightwatcher-granted super intellect, manipulating a truthless) Obviously, Dalinar is the only one of the three who is going about his efforts at unification in a manner consistent with the first oath of the Knights Radiant. However, my thoughts go from this observation to the secret societies. We have the Diagram society, the Sons of Honor, and the Ghostbloods. Of those three groups, two are represented in this group of men (Gavilar → Sons of Honor & Taravangian → the Diagram society). We also have two of the three shards whose power influenced the formation of two of the societies (Honor → Sons of Honor & Cultivation → the Diagram society). So, where do you all think the Ghostbloods fit into all of this? Acknowledging that it's pure conjecture, likely coincidental, and that correlation does not equal causation; is there any chance the Ghostbloods have a connection to Odium? Wild Cosmere theory: The Ghostbloods do a lot of world-hopping. 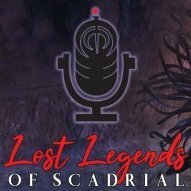 If the Ghostbloods are connected to Odium, do you think there is a chance that Kelsier might have created a link between Roshar and the Southern Scadrians via Iyatil? What about the possibility that a chance encounter between Kelsier & Odium (or a more mundane connection via the Ghostbloods) is influencing the "other god" goings-on on Scadrial in the Wax & Wayne era? A Rosharan Political Analysis: Secret Societies Ghostbloods, Diagramists, Skybreakers, Sons of Honor, Envisagers, Stone Shamans, Ardentia The following is intended to be a comprehensive guide on known secret societies on Roshar, especially ones interfering in The Stormlight Archive. Due to the complexity and excessive number of such societies, this will hopefully be a useful reference for newcomers, confused fans, and those that want to double check or reference any information. If you note any inaccuracies or things that I missed, feel free to let me know so that I can update the information to be as accurate as possible. The Ghostbloods: The Ghostbloods are the most encountered secret society with the least information given. As Mraize told Shallan at the end of Words of Radiance, we know next to nothing about the Ghostbloods or their purpose. We can, however, make some educated approximations, and codify the information we have been given. · Jasnah Kholin: She and the Ghostbloods seem to be engaged in a policy of mutual assassination; but unfortunately we don’t know the history or reasons behind this. · Sons of Honor: There seems to be a specific rivalry between the Ghostbloods and the Sons of Honor. The Ghostbloods have a keen interest in Amaram at the Shattered Plains, and Iyatil tried to assassinate him at the end of Words of Radiance (most likely, she has at least one nonlethal poison); Amaram also suspected the Ghostbloods of sending Helaran as the Shardbearer to kill him, though later evidence indicates that it was really the Skybreakers. Gavilar’s two suspects for his assassination were Thaidakar (probable leader of the Ghostbloods) and Restares (probable leader of the Sons of Honor). Both are also seeking maps and Urithiru. · Maps and Urithiru: The Ghostbloods have an uncanny interest in maps. (This is not singular to the Ghostbloods; the Sons of Honor, Parshendi, and others seem to have the same interest.) Either they (as well as the others) are putting plenty of effort into the search for Urithiru (as seems likely), or the maps have something else of interest. · Taravangian and Tukar: Mraize, in his conversation with Raspy Voice, seemed to indicate that he thinks Taravangian and the Diagram of little importance. Either he is unaware of the Diagram or its extent, or the Diagram is of less importance than we are led to believe. In the same conversation, he speaks of a “creature in Tukar” that is either not human or not of the local species. As pointed out, this is likely the "god-priest, Tezim," leading the Tukari in the conflict over Sesemalex Dar. · Worldhoppers: Secret conversations, key props, the Diagram, and Words of Brandon confirm that Mraize and Iyatil are worldhoppers. The conversation Shallan overheard in Chapter 54 of Words of Radiance seems to indicate that there may be at least one other. A person with a raspy voice. Conspiracy theory! Dreok Crushthroat! The Ghostbloods could, therefore, be a Cosmere-wide organization in either membership, expanse, or at least information. Significant Members: · Mraize: A man who, on first sight, reminds Shallan of Hoid. He is twisted an scarred, fixates on courage (in his first conversation with Shallan), and likes to use local weapons to learn of different cultures. He is the ward of Iyatil, and a worldhopper. In fact, Adrotagia wondered (in her annotations to the Diagram) if he was the “wanderer Taravangian spoke of. · Iyatil: She is considered the “babsk” of Mraize. The only other babsk we see is Vstim, and from Rysn we learn that the babsk is considered the parent of the apprentice, in charge of “rearing” them to be a full trader. I am not sure how this relationship works with the Ghostbloods. She has an orange carapace mask she refuses to remove, is a skilled actress, and is also a worldhopper. · Tyn: An expert con artist that took Shallan under her wing. She was in league with the Ghostbloods but may not have been an actual member. She was in charge of the operation to assassinate Jasnah Kholin. Shallan killed her with her Shardblade when Tyn discovered her identity and tried to kill her. · Thaidakar: This appears to be a leader or high ranking member of the Ghostbloods (he is spoken of in conjunction with the Ghostbloods in a way that implies he is the head of the organization by Amaram in The Way of Kings, and Words of Radiance reaffirms a Ghostblood position, with the term “Master Thaidakar” used by Mraize. Gavilar suspected Thaidakar for his assassination, telling him that he was “too late;” though Restares (a Son of Honor) and Sadeas were also suspects. We have no other information at the moment. Lin Davar: Father of Shallan and Helaran (along with three other siblings). He assumed the blame for the deaths of Shallan's mother and her friend in order to preserve the secret of Shallan's Radiancy and the fact that Shallan had killed them (albeit in self-defense). He grew politically ambitious, increasing House Davar's importance and preparing to make a bid for Highprince, but making enemies and alienating allies. His steward, Luesh, was his intermediary with the rest of the Ghostblood organization, which had been backing his bid for the Highprince succession and had loaned him the Soulcaster. He was killed by Shallan when he tried to kill Nan Balat during one of his rages. Luesh: Steward to Lin Davar and his intermediary with the Ghostbloods as they backed him politically. He was trained to use a Soulcaster. He (purportedly) died in his sleep after Lin's death, while Shallan was in Kharbranth. Kabsal: A Ghostblood posting as a Kharbranthian Ardent. He befriended and fell in love with Shallan, but his main purpose was to assassinate Jasnah Kholin. He died from poisoned bread during the assassination attempt after Jasnah inadvertently Soulcast the antidote. Shallan: Following Jasnah's "death," Shallan's encounter with Tyn, and her arrival at the Shattered Plains, Shallan infiltrated the Ghostblood organization under the alias Veil. She was ultimately admitted as a full Ghostblood member, but her true identity was ultimately discovered. Despite this, Mraize still offered her the membership. "Let Shallan Davar be a Radiant, conformist and noble. Let Veil come to us. And let her find truth." Interesting quote (from Mraize's conversation with Shallan at the end of Words of Radiance): "Your family [the Davar's] has a long history of involvement in these events." The Sons of Honor: The Sons of Honor are a group of Vorin extremists. Fortunately (or unfortunately), we see a lot of them through the interactions and investigations of Amaram, especially from Words of Radiance. (Ironically, the English singular – Son of Honor – is only one letter away from perfect Rosharan symmetry, a good Vorin name.) Their purpose is to return the Desolations in order to bring back the Heralds and restore the Heirocratic dominance of Old Vorinism. While obviously misguided and misinformed, and seemingly unimportant, they still manage to kick up quite the storm. Restares: We know little more of Restares than we do of Thaidakar. The apparent leader of the Sons of Honor, all we truly know is that he is Amaram’s superior, one of Gavilar’s murder suspects, and that his cronies were “close,” according to Mraize, presumably to finding Urithiru. He is usually mentioned in context with Thaidakar. He is the individual to whom Amaram sent his progress report at the end of Words of Radiance. Amaram: A devout Son of Honor, he has been seeking Heralds (namely the “person who calls himself Taln), gathering maps (presumably seeking Urithiru), and trying to get the Parshendi to transform into Voidbringers. While he has garnered much dislike in the novels and among fans for murdering Kaladin’s men and being generally dishonorable, I feel he is no worse (and absolutely no better) than many of the other misguided, semi-antagonistic members of such secret societies; while he is more misguided than most, he honestly feels he is doing what is best for Roshar, without regard to himself, but has a very destination-before-journey mindset that is common in similar individuals (Taravangian, Mraize, and even Hoid to an extent). The Diagramists: The most appreciated and generally understood secret organization, the society of the Diagram is the prime example of “Destination before Journey,” summarized by the Catechism of the Back of the Flowered Painting: Q: What cost must we bear? A: The cost is irrelevant. Mankind must survive. Our burden is that of the species, and all other considerations are but dust by comparison On the night of his death, Gavilar confided in King Taravangian of Kharbranth, telling him of his visions of the Almighty. Following this, Taravangian sought out the Nightwatcher, asking for the capacity to save humankind. The result? Daily intelligence fluctuations, inversely connected with compassion levels. Then came one “singular day of unparalleled brilliance,” “making connections no man had ever before made”: The Diagram. Information written in an alien script (devised by Taravangian that day to express information more clearly) all over Taravangian’s bedroom, with a key fortunately carved into his table; now codified (in its original form) for more practical use. Although Taravangian’s Interlude maintains that he did not truly see into the future, the Diagram has made “eerily accurate” (though not entirely infallible) predictions of the results of specific actions necessary to unite the world (under Taravangian) to resist the Desolation, as his interpretation of Gavilar’s visions required: “You must become king. Of everything.” Quotes: · Inaccuracies: The Diagram, while startlingly accurate, has been off about a few things, more so the farther into the future it goes. Taravangian hopes for another day of equivalent intelligence to revamp the Diagram, but Adrotagia’s calculations declare this to be unlikely. Therefore, the current method is to use Death Rattles, little precognitive phrases uttered by the dying, created by Moelach (according to the Diagram, one of the Unmade) and powered by the “spark of life itself.” Two problems thus arise: First, that the Diagram is gradually decreasing in accuracy; Second, that the method of updating the Diagram is controlled by an evil, powerful being most likely a Splinter of Odium. These could have interesting future ramifications. · Death Rattles: · Sleepers: These are members of the Diagramist group, likely a term for a specific type of undercover agent. “Wake every Alethi sleeper we have; send every agent in the area.” These may include Graves and his men. · Silent Gatherers: These Diagramists are headed by Joshor and are in charge of murdering the terminally ill in the Kharbranthian hospitals in order to find and record as many Death Rattles as possible to augment the Diagram. Members: · Taravangian: King of Kharbranth and now Jah Keved, Taravangian was the confidante of Gavilar Kholin on his final night. After seeking out the Nightwatcher, he received the boon of intelligence fluctuation and created the Diagram on a day of unparalleled genius (as explained above). Through his occasional brilliance, he is able to interpret the Diagram and is the leader of the society. “Besides, in dealing with the Diagram, he might not remember what he had written or why – but there were echoes sometimes.” · Adrotagia: Head of Taravangian’s scholars and his boyhood friend. Following Taravangian, she probably knows the most about the Diagram. · Mrall: Taravangian’s bodyguard, in charge of determining his capacity to serve in public on a daily basis. A peculiar figure, he claims to be able to “change emotions on a whim,” such as ceasing to take pleasure in suffering. · Graves: A self-styled Alethi patriot and a Shardbearer, he was in charge of the group trying to assassinate King Elhokar. He is now fleeing the Shattered Plains. Through the assassination attempt, he recruited Moash to their cause. · Szeth-son-son-Vallano: Truthless of Shinovar, the Assassin in White. An explanation should be unnecessary. From the middle of The Way of Kings to the end of Words of Radiance, he is under the control of Taravangian and acts on his orders. The Skybreakers: The name originally applied to an order of the Knights Radiant. Whether they remain so, are the organizational remnant of what used to be Radiants, are Radiants ("This act of great villainy went beyond the impudence which had hitherto been ascribed to the orders; as the fighting was particularly intense at the time, many attributed this act to a sense of inherent betrayal; and after they withdrew, about two thousand made assault upon them, destroying much of the membership; but this was only nine of the ten, as one said they would not abandon their arms and flee, but instead entertained great subterfuge at the expense of the other nine. "), or merely share the same name and Heraldic leader remains unknown. In any case, they are a group headed by Nalan, Herald of Justice. They do seem to “put the law above all else,” though laws are twisted to suit their needs, and they certainly have a proliferation of Shardblades; however, their actions do not seem Radiant-worthy and they seem to be trying to assassinate – pseudolegally, of course – Surgebinders along the path to Radianthood, all in the name of preventing another Desolation. The best knowledge comes from the Interludes of Ym and Lift, along with Szeth’s portion of chapter 88 of Words of Radiance. I hope for a vast increase of information with the release of the next book (such as the information and references in The Way of Kings versus those in Words of Radiance.) · Nalan’elin: “Nin” to Szeth, almost certainly Darkness to Lift and the man in Ym’s story; Herald of Justice, Divine Attributes of Just and Confident. We don’t know what the years since Aharietiam have truly done to the Heralds, though they seem to be “doing worse.” This one has gained a penchant for assassinating Surgebinders and (Jezerezah only knows what else he’s been up to! I’ll leave it up to your imagination). · Szeth-son-Neturo: Once again, the Assassin in White needs little introduction. Now he has and a mission to bring justice to the leaders of the Shin, and he is learning at the feet of a dangerous Herald who may or may not be just as unstable as Szeth. 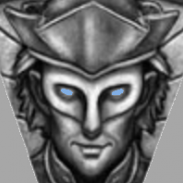 · Helaran: Shallan’s oldest brother apparently “sought out the Skybreakers,” presumably where he received his Shardblade and Plate. Taravangian and Adrotagia considered him a possible tutor of Shallan in her Surgebinding. Nothing else is known, despite Shallan’s flashbacks (I am beginning to tire of saying that. I expect some good information from the third book!) The Envisagers: A cult, as Teft called them, that “believed in the Radiants, Heralds, and Old Vorinism; especially Old Vorinism.” They believed that if they could return the Voidbringers, it would bring back the Knights Radiant (comparable to the Sons of Honor in the preceding respects). They believed that if they put their members in mortal danger, they would manifest Surgebinding powers – a Snapping concept, of sorts. None did, but many (including Teft’s mother) died trying. Teft turned the Envisagers in to his citylord, who executed them all. If other groups exist, he (and we) is unaware. NOTE: This concludes the section on all known secret societies – at least, those known to be secret societies. The two following are potential candidates once more information is known; as things stand, any accusations of ulterior goals remain theorization. I hope the information is helpful, regardless. The Ardentia: The Vorin ardentia are the religious officials that remain after the Sunmaker destroyed the Heirocracy and Old Vorinism. While they lack the overwhelming political power they had previously, they are extraordinarily well placed to be a massive secret society in the Vorin nations of the East: ardents include cutting-edge scientists, scholars with access to practically all of the Eastern world’s knowledge (especially the Palanaeum), politicians (though they technically aren’t supposed to be), religious authorities and advisors, fighters, Shard-trained soldiers, and Soulcasters – in fact, they control all known Soulcasting fabrials. They seem too suspicious and well-positioned, especially with the fact that they once controlled the major Vorin nations. Stone Shamans and the Shin: I hesitated to include these, but the information, while mildly speculative and not truly a secret society, could still be of use. Stone Shamans seem to be the leaders of the Shin – certainly of their religion, which worships the spren of stone. They have the Honorblades and have kept them safe “for millennia” – likely since the Last Desolation. Szeth mentions eight of the nine, specifically (though he wasn’t terribly surprised with the fabricated news that one was stolen), and we have WOB that a Herald came back for his. Unfortunately, insofar as I know, we lack a time indicator – whether it was immediately following the Desolation, before Szeth’s expulsion, or afterwards is unknown, and the latter would mean that there is another unaccounted Honorblade. Presumably, the Stone Shamans use them, for they would have been able to retrieve the Honorblade following Szeth’s death in normal circumstances (whether they will try or succeed to regain the Honorblade from the new Knights Radiant remains to be seen) – though how this reconciles with the societal abhorrence of weapons and soldiery is unknown. Regardless, we know Szeth plans to “face enemies with Shards and with power.” Besides the ownership of the Honorblades (and potentially other Shards), however, is the potential knowledge, both generally held and that discovered by Szeth, leading to his naming as Truthless. Unfortunately, all that we know is very vague and will likely remain so until Szeth visits Shinovar or we see his flashbacks. Regardless, we can extrapolate from the few glimpses Szeth does give us, namely in Interlude 9 of The Way of Kings and phrases screamed while fighting Kaladin. Something made Szeth believe that the Radiants and Voidbringers had returned. He told others, probably the Stone Shamans, but was convinced or forced - despite what he claims his honor demanded - to become Truthless. (I am of the opinion that he was forced religiously, and he complied in the name of law and order, which Nalan claimed Szeth worshipped - “They told me I was Truthless,” emphasis added, and “There was no place for him in the Valley of Truth,” a name that seems to imply religious significance. There is also an interesting dichotomy following his acceptance of his station; while “his honor demanded” that the Voidbringers existed despite the fact that “his punishment declared that they did not,” the appearance of Kaladin as a budding Radiant made Szeth question his nature as Truthless until Taravangian’s explanation forced him to remain in his place.) Along with a possible knowledge of Radiants and Voidbringers, Szeth recognizes a Herald on sight (albeit by a different name than they are called in Vorin nations), and he knows more about Surgebinding than the Ars Arcanum from The Way of Kings and arguably that of Words of Radiance, despite Shinovar’s lack of access to Stormlight. They also had a knowledge of Urithiru. It will be very interesting to learn more of the Shin in future novels. Honorable mention: These are groups that deserve notice but lack requisite information for full consideration. 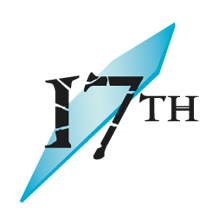 Worldsingers: An order that travels across Roshar, "spreading knowledge of cultures, peoples, thoughts, and dreams; bringing peace through understanding." They claim that their charge to do so came directly from the Heralds. Related to the Worldbringers of Terris and probably founded by Hoid, Hoid is a member and was the mentor to Sigzil, graduating him during The Way of Kings. Veristitalians: A group of scholars that seeks to find the truth of what has happened in the past, such as finding natural explanations for supernatural phenomena and discovering unbiased history. Jasnah is a prominent member. Stormwardens: A group of make scholars finding loopholes in Vorin restrictions. They mathematically predict highstorms, use glyphs as a written phonetic script, etc. Several stormwardens have been involved with secret societies, but nothing indicates that the organization as a whole is. Vanrial: Am order of artists at Silent Mount in Jah Keved, responsible for preserving the full text of The Way of Kings throughout the Hierocracy. Each year they sing songs believed to be in the Dawnchant, of which Dalinar's visions seem to be giving a translation. Oldbloods: The descendants of the dynasty that once, long ago, ruled Alethkar. They mark themselves with blue tattoos on the cheek. Teleb, a Kholin highofficer and ultimately a Shardbearer, is an Oldblood. "In Yulay, there are groups of people who talk of the Radiants. And wish for their return." This quote from Sigzil may refer to the Envisagers or a separate group. I hope that this compilation is helpful. 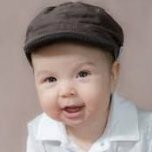 If you note any inaccuracies or know of anything I overlooked, any and all help is appreciated – I mean this to be a full, complete resource for anyone that could use it. Thank you! Edit 1: Updated the Ghostblood information, switching Iyatil for Mraize (as the assassin fit Amaram), added nonlethal poison as an option, fixed ambiguity of worldhopper status for Mraize and Iyatil, fixed "creature in Tukar," and added Lin Davar, Luesh, Kabsal, and Shallan/Veil. Edit 2: Added Worldsingers, Veristitalians, Stormwardens, Vanrial, Oldbloods, and Yulay groups. So, I've put this idea out in passing on some other threads, and thought that such an important event deserved its own thread. Basically, who tried to kill Amaram on the battlefield? Who was Helaran working for? Now, the two most likely options, based off of textual evidence between WoK and WoR, are the Skybreakers and the Ghostbloods. After the assassination, Amaram mentions the Ghostbloods as the prime suspects. However, Mraize tells Shallan that Helaran had looked for the Skybreakers. Personally, my feeling is that Helaran was working for Nalan and the Skybreakers, and I will explain why. First off, the Skybreakers definitely have the resources to get a shardblade and plate, as Nalan is carrying one around with him. Even if that is actually Nalan's honorblade, which it might be, it would provide the Skybreakers with the capabilities to forcefully take another blade and plate, which Szeth could have done 10 times with Jezrien's honorblade. Second, the evidence does not suggest that the Ghostbloods want to kill Amaram. Instead, the evidence suggests that they want to capture him, and Helaran's charge does not suggest that the be the intent. The poison dart at the end of WoR was coated with a paralysis poison, not a fatal one. Now, some people may ask "Why would Nalan want to kill Amaram? He's busy killing surgebinders!". Nalan is not simply killing surgebinders, he is attempting to prevent a desolation from occurring, and surgebinding causes (or Nalan thinks it causes) desolations to occur. Not so incidentally, Amaram and the Sons of Honor are attempting to start a new desolation to cause the Heralds to return, and appeared to be attempting to drive the Parshendi to adopt stormform (perhaps Restares supplied Venli with the stormspren?). This would be more than enough reason for Nalan to arrange for a special kill. To be clear, Nalan could not have killed Amaram himself. Nalan is a constable in Azir, and likely holds similar positions in all the kingdoms and provinces of those kingdoms, meaning that Amaram would be off-limits to him, since he did not commit a crime. However, a random member of the Skybreakers with no prior affiliation to Amaram would have free reign to... say... join an army that Amaram happened to be fighting at the time, bring some shards, ride into battle, then make a beeline for Amaram and kill him. Essentially, Helaran was said Skybreaker. As for why Nalan didn't make another attempt on Amaram's life, that's easy. Amaram's leg was completely shattered. In fact, his bridge run with Sadeas was almost certainly his first combat action since the injury, so Nalan didn't have another opportunity to kill him in battle. In addition, Nalan likely did not know about Kaladin, or else he likely would have executed Amaram immediately. And for the final reason, Amaram and Sadeas were fighting together, and it would be too risky to attack multiple shardbearers and risk even more of the Skybreaker's resources. And there we go. Who agrees with my "Nalan sent Helaran to kill Amaram on the Battlefield" theory? Who disagrees? Who has any new culprits that could have pulled off the attempt? Please discuss! Edit: Oudeis suggested that Helaran's intent may not have actually been to kill Amaram. I do not believe this to be the case. Amaram's leg got pinned by Helaran. A slightly different position easily could have severed an artery and killed Amaram. For a capture mission, that would have way too large of a risk of killing him. I have the audiobook, so it is hard to search for things. Gavilar was part of the Sons of Honor, along with Amaram. We also know from the Taravangian interlude that Gavilar was having the same visions that Dalanar is having (so knows the desolation is coming, Honor is dead, humanity needs to be united, etc.). Gavilar was a proponent of the Way of Kings, due to his visions. How does this fit with the Sons of Honor? If the desolation is coming (visions), then the Heralds would be there soon. Why try to get the desolation to come sooner (which is what he and Amaram appear to have been planning, by attempting to bring back the Listener's gods). Why did Gavilar involve Taravangian? He operates completely opposite to the first ideal. Or is that a change caused by his visit with the old magic? And lastly, are the Envisagers an offshoot of the Sons of Honor? From Teft, the goals are very similar (they want to bring back the Radiants, the SoH want to bring back the Heralds, though the wiki does not state that clearly, so I may be misremembering), they just have the added craziness of trying to "snap" themselves into becoming radiants themselves. Did anybody else notice how horrible Gavilar Kholin is? I'm not sure how to make spoiler tags... Gavilar apparently wanted to return the Heralds, which is forgivable (even though all the Heralds are psychopaths/drunks/vandals/insane). But he apparently wanted to achieve this miraculous feat by turning the Parshendi into Voidbringers. This is highly immoral, as nobody wants to transform into orcs, and this just feels like Gavilar did not understand the simple fact that the Parshendi =/= parshmen. To him, the Parshendi were just parshmen that could be sacrificed in order to achieve a greater goal, and he completely disregarded the fact that the Parshendi are people too. In addition, he seems to have forgot the fact that the Parshendi would not just sit around and be monsterfied, my guess is that he just thought that the parshendi were simply docile animals. Conclusion: Gavilar is a callous monster.